Are your kids seeing efficiently? There’ a difference between seeing and SEEING. What in the world does that mean? Your child could be seeing “fine,” but they may not be seeing efficiently. They are unaware of what clear actually can be, so they are constantly straining. Often times kids are unknowingly “working” to see the prints in the books and/or on the board. They are making the words and numbers out instead of actually just seeing it. The number 3 could be a 5 or an 8. The letter O could be a C, a Q, or a G.
Our brains are very good at multitasking but as we increase it’s workload, the efficiency and productivity decreases. For example, imagine you are driving to a new restaurant at night, it’s raining, and music is playing on the radio. What do you tend to do first? Turn off the radio. The noise has nothing to do with your vision. You are cutting out one thing (noise) the brain has to deal with so now it can focus on the task at hand. As for your child, if he/she is struggling to “see” what the teacher is writing on the board, then he/she are not fully focused to comprehend the topic teacher is trying to teach. What does a normal kid usually do at this point? They get frustrated and give up to focus on something that’s easier; like drawing on the corner of the page. Even worse, they are viewed as having an attention-deficient condition. 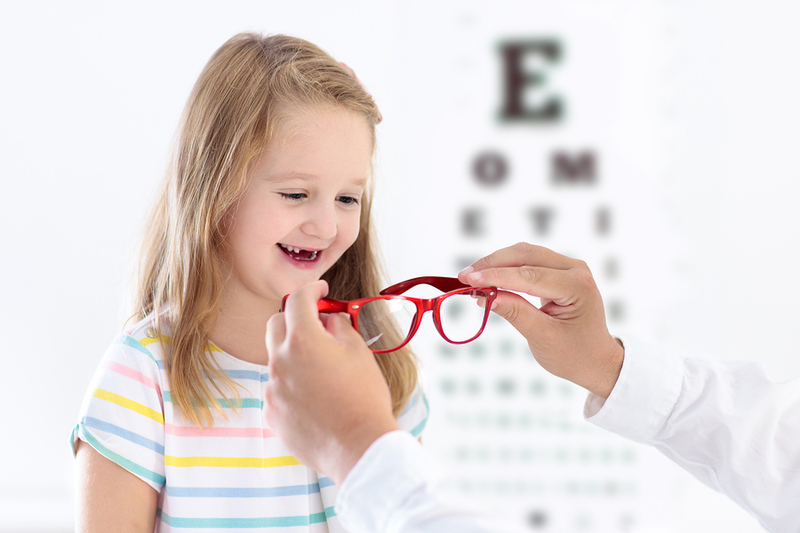 While school vision screenings are great and generally filter out children with definite visual conditions, they should still see an eye doctor to really determine if they have any visual processing issues. You do not want to wait till they TELL you they can’t see (if they do), you want to avoid that path. Contact us to see if your child could be seeing more efficiently and effortlessly!